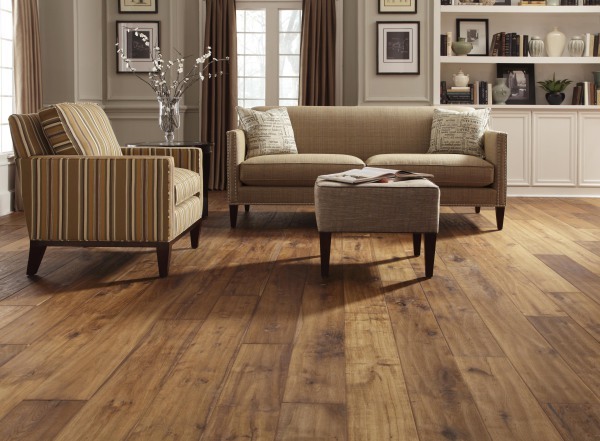 The fastest growing flooring choice in America is laminate flooring. Its European fame has made it spread quickly into the United States. All laminate flooring is installed using the free-floating method which means the laminate flooring simply lies on top of the sub-floor. While some brands still make glue together planks most have switched to a no glue locking system which allows the planks to snap together. Since the majority of laminate floor choices are glue-less individual planks can be replaced when needed making it extremely affordable to maintain. Laminate floors are extremely durable and can be used in a wide array of applications from a simple bedroom in your home, to the showroom of an automobile dealership. 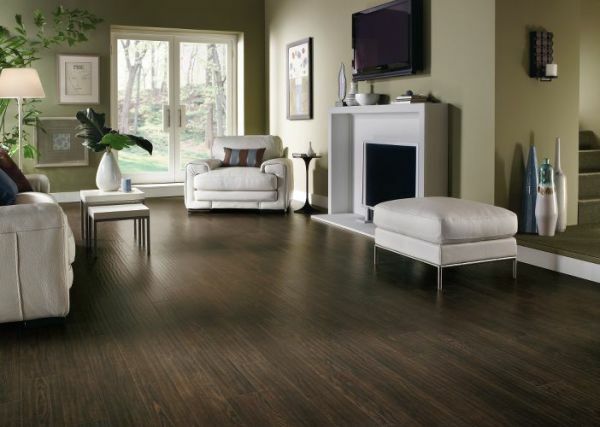 They are by far are the simplest flooring type to maintain. In most cases a simple sweeping or a light mopping is all that's rquired. 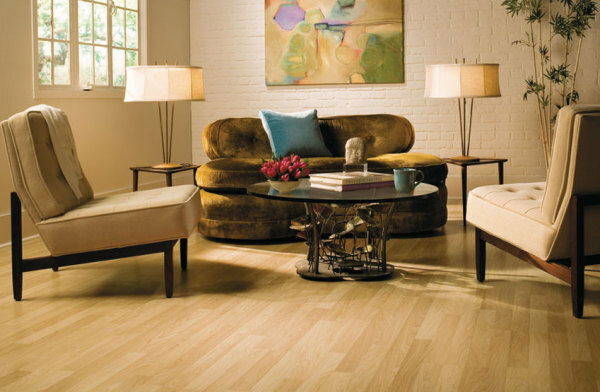 Laminate flooring is a plank type floor, constructed of different layers. Usually, the top layer or "wear layer" is clear. It is a low or high density laminate, depending on the manufacturer and style - similar to a counter top laminate. Although it is similar to a counter top laminate, it is, in most cases, anywhere from 10 to 20 times harder than counter tops, and more resistant to scratches, burns, chipping, dents, etc. The second layer is usually the design or decorative layer which gives it the unique look of wood, or in some cases, tile flooring. Some laminate floor manufacturers add a third or "base" layer for greater stability. All of these layers are fused by heat and pressure to a high density core. Laminate flooring has swept the nation! It is by far the fastest-growing section of our industry. It has been popular in Europe for several years and now that popularity is catching on here in the United States.